Submitted by Sister Julie Schwab, O.P. I find it difficult to put our experience at Standing Rock into words. However, I will begin here and my traveling companions can add their reflections. I cannot begin to describe the sickening feeling that passed through me when we stood on the road and witnessed massive machines gouging into Earth’s fertile surface leaving a 150ft-wide wound that snaked over Her graceful contours for as far as the eye could see in either direction (1,172 miles long). 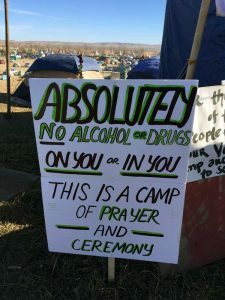 You cannot imagine how poignant it was to come from the recent demoralizing elections and drive into Standing Rock, which is a settlement of various camps containing thousands of people who have organized themselves with the values: diversity is strength; respect for one another and especially of elders; equity of resources; abstinence of alcohol and drugs; weapons are not allowed; donations of goods are held in common; Water, Earth, Wind and Fire are sacred, and all food wastes are composted. I was moved to see young people gathered in circles around sacred fires praying with and learning from Native American Elders. Everywhere we went in the camps, people were volunteering and pitching in to help each other. There are several community kitchens where anyone is welcome and a large tent with lawyers from all over the country who are volunteering legal services. Donations for legal aid have been extremely important. There were medical tents sprinkled throughout the camp with free medical supplies and services. It is clearly a military zone around the camp with countless armed police and National Guard vehicles. Every action the Water Protectors do is done in non-violence and prayer, yet they have been met with fierce violence from police. In contrast, however, there have also been some police who have turned in their badges after being offered kindness, food and prayers from the Water Protectors. 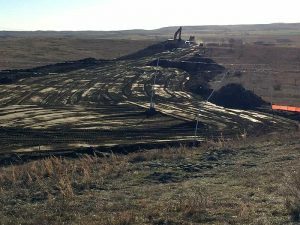 Other police officers have refused to return to Standing Rock to defend oil companies’ interest. Out in the middle of the North Dakota Plains there is an oasis of humanity that is modeling a world I can believe in. 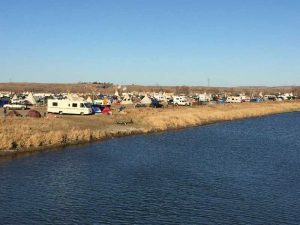 After such bleak elections, Hope and Courage are being modeled for us at Standing Rock. 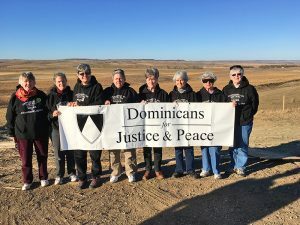 How will we Dominicans put ourselves on the line for our planet, one another, and a world we can believe in?